Part L2 of the Building Regulations has a requirement for Building Log Books covering new and refurbished buildings. Log Books are also required for existing buildings when “controlled services” such as boilers, air conditioning or lighting are upgraded or replaced. “…with details of installed building services plant and controls, their method of operation and maintenance and other details that collectively enable energy consumption to be monitored and controlled”. Harper Tether Associates compile Building Log Books, co-ordinating and collating the required information from the Architect, Building Services Consultants, Building Services Contractors etc. 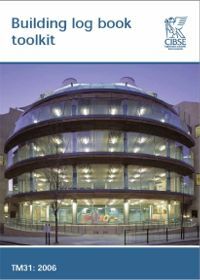 to suit the CIBSE Building Log Book Template. We can also update existing log books if required. Log Books can be produced in either traditional paper or E-Manual format.